Of all the things I decided to take with me, most of it was pretty useful, and I would totally take it with me again the next time. 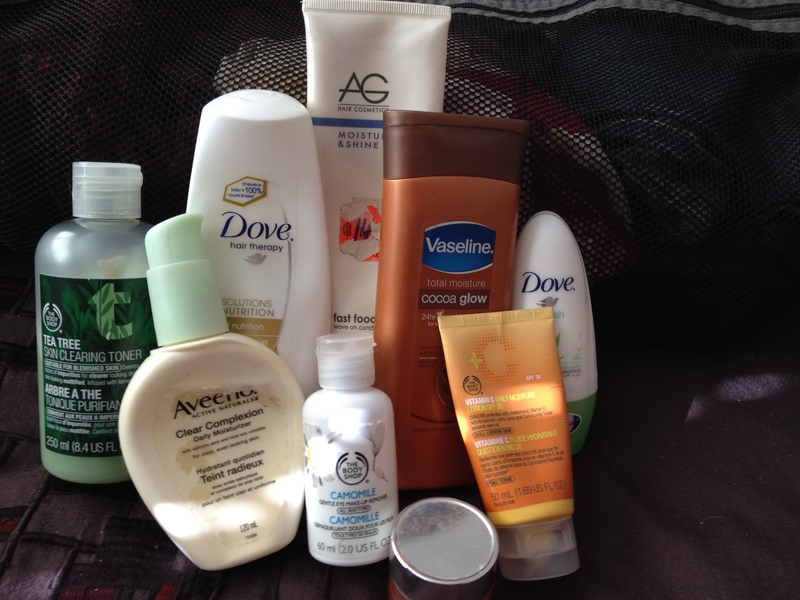 Generally, what I overpacked was cosmetics (cleansers, lotions, hair product, etc.) 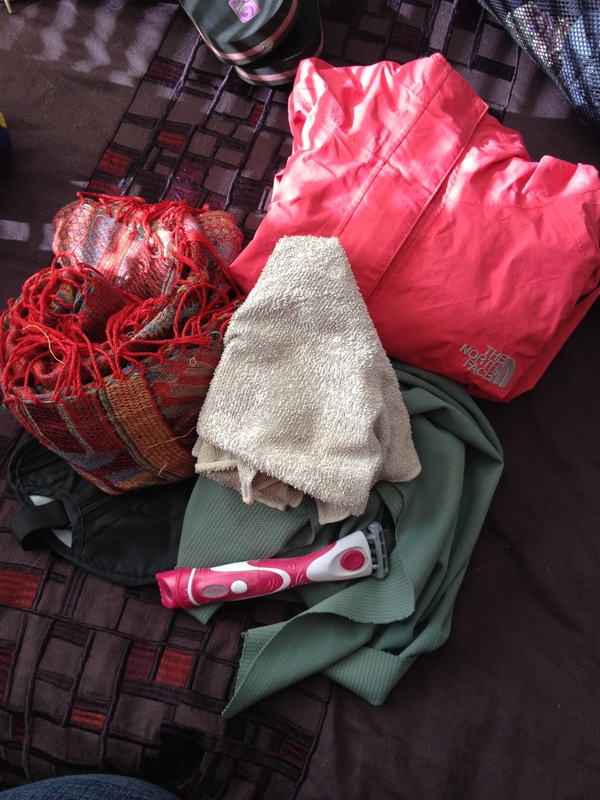 and clothing, though the warm stuff was essential in the first few months, and I couldn’t have done without it. Luckily I got to send most of that burden home when my friend came to visit halfway through 🙂 Otherwise, I seemed to lose or give away the rest of the excess. has several pockets for organization(which I love). I may have preferred my Gregory Jade 50 in the end, for comfort on the way, though it is less easy to live out of. Shoulder bag that sat nicely under my hiking bag, holding my wallet, novel, notebooks, phone, water bottle, etc. My Manduka travel mat, for Yoga on the Road. I ended up rolling it as a normal mat (though quite a floppy one, at that) and strapping it to the outside of my bag, so a normal mat would have been just fine. And given the abundance of hard, concrete surfaces that I practiced on, a bit more support under me would have been nice. 1 small mesh bag for laundry. 2 small stuff sacks for socks and underwear. 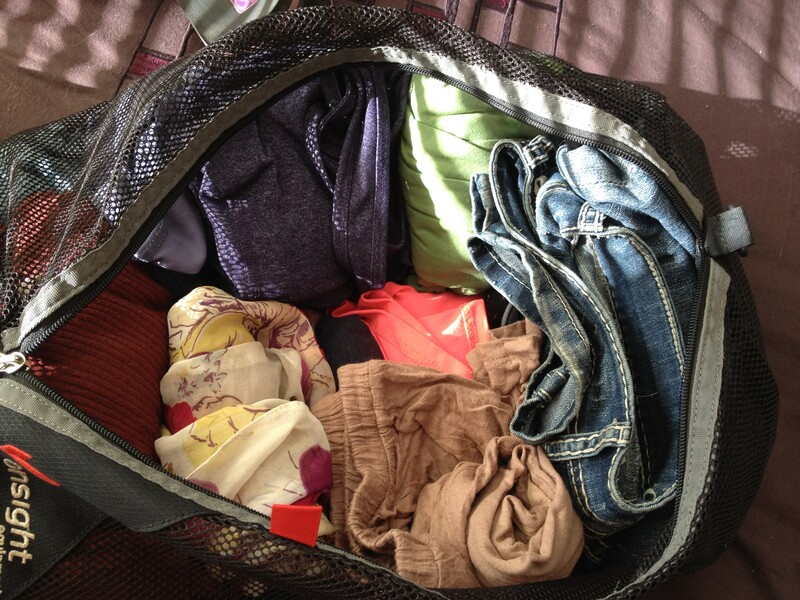 Large- and medium-sized mesh sacks for clothing – totally my favourite investment (which were only about $10! ), because they turn my standard, frustrating top-loading bag into a very functional piece! Organic bamboo bandeau – often my only pajama top in 40 degree weather! 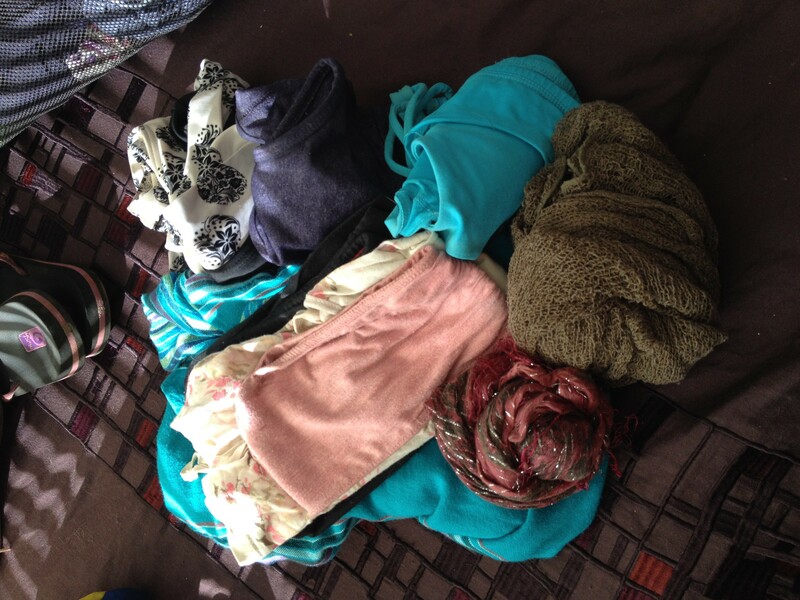 Small scarves to use as headbands – an absolute must-have for any travel days, as my hair drives me nuts with the wind. 1 pair of jeans – all I needed, but they should have been brand new before leaving, as they suffered miserably on the way. 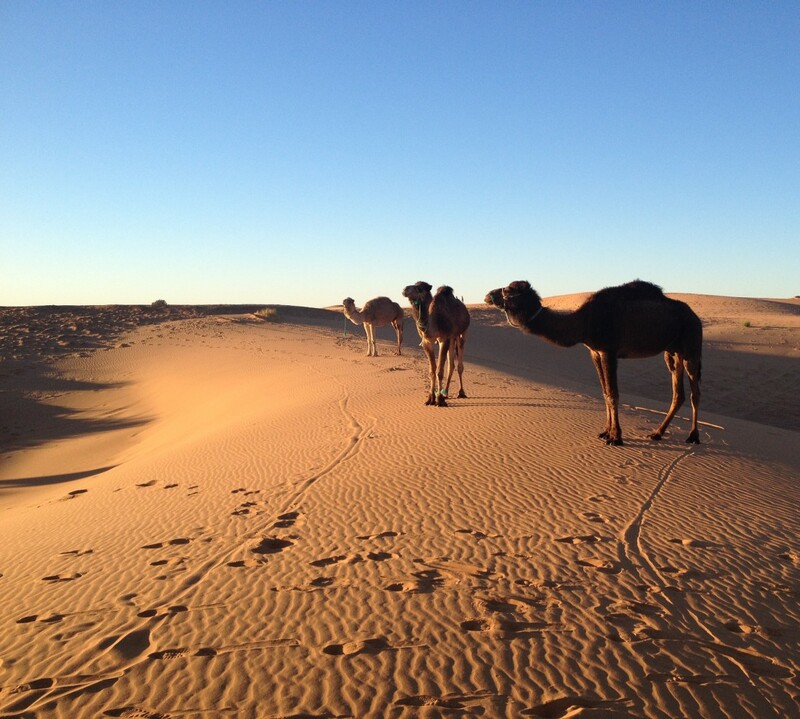 Two ghetto patches (one done in Morocco, the other in Burkina) kept them together, but they didn’t even sit right on me by that point! Look at the sad state of those jeans. leggings, one tshirt and 3/4-length top, which were my go-to’s for travel days. Everything had holes. 1 medium-weight sweater, for cool evenings. And a nice top or two to spice things up a bit! It’s nice not feeling like a schlep all the time. Sometimes a girl likes to feel like a girl! 1 scarf; sometimes used as directed, other times as a shawl, a hair cover, and often as a blanket during the rainy season. Rain jacket, rarely used, and usually only for warmth when it was cold. You just don’t go out in the rain! Medium travel towel, which I eventually cut up to about 1’x1.5′ for my hair only. Otherwise, I just dried off with my microfibre facecloth, and used a yard of West African fabric as a wrap. 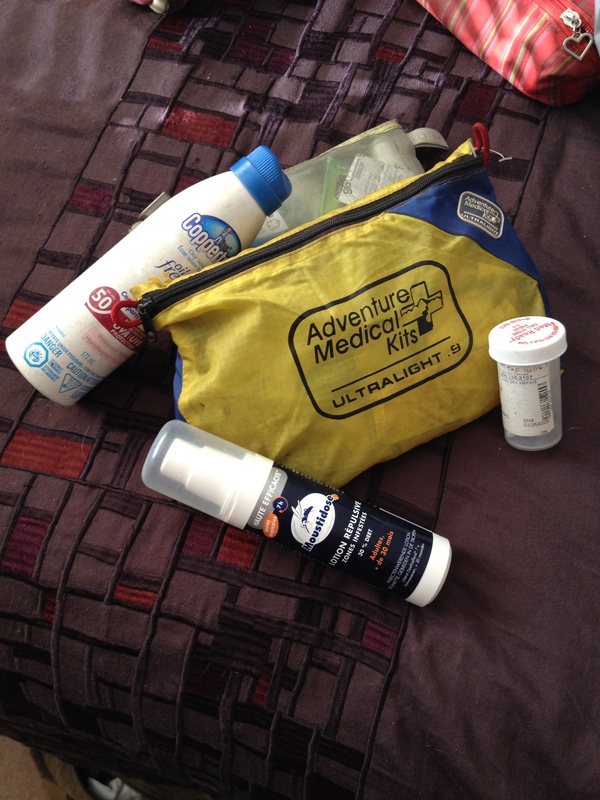 All the first aid type stuff. SPF 50 “continuous spray” sunblock – brilliant stuff, so easy to apply, and is completely unnoticeable once applied; wish I brought more! Mosquito repellent – you can’t possibly bring enough of it and it’s easy enough to find as you go, so just bring enough to get you started. Afterbite for itch relief – bring enough, it was difficult to find! One full regular tube should be sufficient. Cipro – one or two full rounds; you can take one or two single pills to treat “runny stomach”, but sometimes you need a full dose, so it’s nice to have one on hand. Oh, to be free of these luxuries. One day..
Shampoo was difficult to find in Ghana, but everywhere else was fairly easy; stick deoderant is not common, but I have actually converted to roll-on! A surprisingly effective wet solution to an already wet problem. My facial moisturizer and eye cream lasted the trip. Unless you are particularly attached to a specific product (such as I am to my toner), you should be able to find a replacement along the way for whatever you need. The extent of my tech. 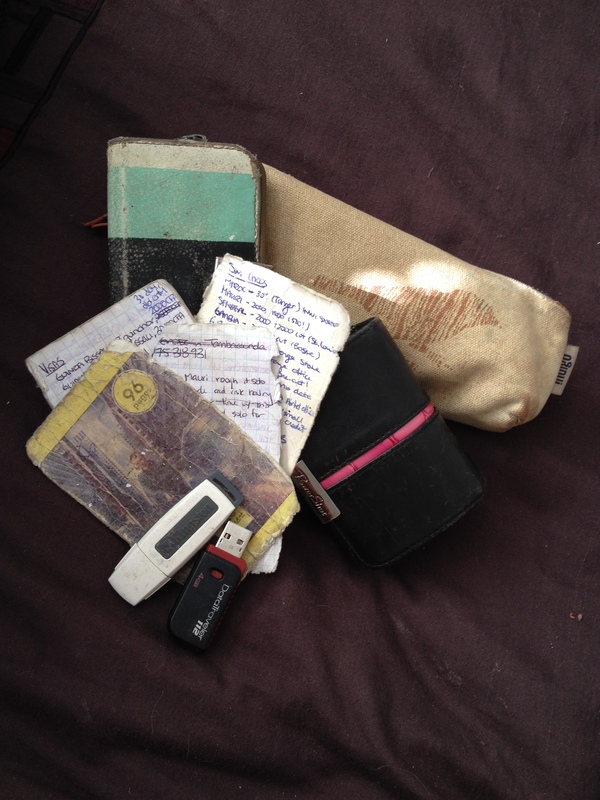 A tiny little notebook to record all of my travel details! Two flash drives, which weren’t needed for photos, as I used dropbox to back them up. iPhone. Everything I needed. Did not bring the camera after all and glad I didn’t. Always inside its amazing case, with a couple spaces for cards and a wee bit of cash. A pencil case served as my makeshift wallet. Didn’t look like such a target, and I only packed a little bit of cash, a debit card, my notebook, and my yahtzee dice! Sewing kit, swiss army, and headlamp. Total necessities. 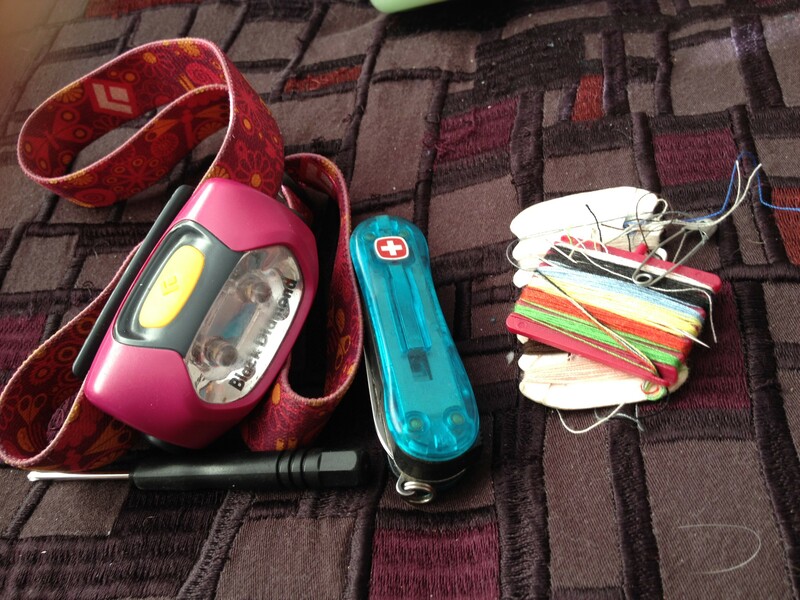 Headlamp, mini swiss army knife, and sewing kit – all essentials! A lovely notebook (from a lovely friend) for writing new languages. A question-a-day diary, which gives prompts for entries each day for 5 years. Bulky but worthwhile for me! 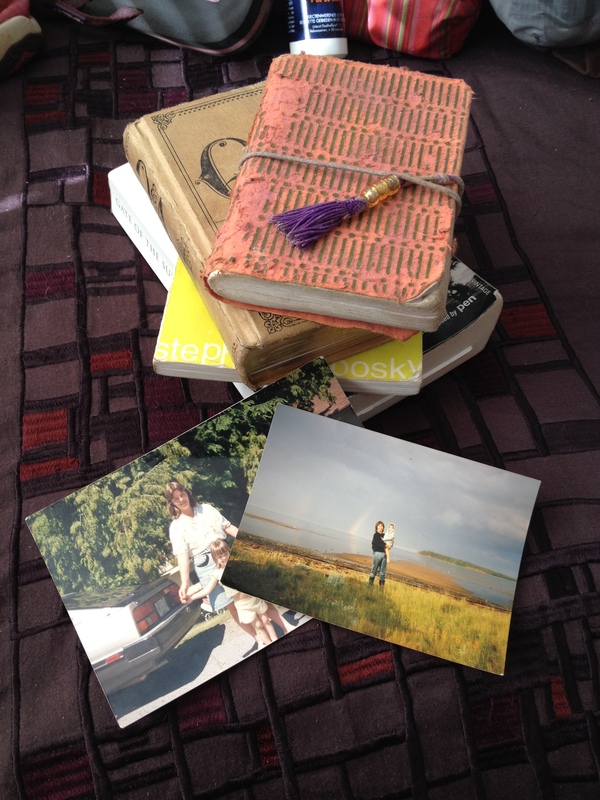 Photos from home and novels (there were never enough). My favourite book, The Perks of Being a Wallflower. Aveda facial scrub (it was amazing, but not really essential). A Norwex makeup removal facecloth (Thanks, Jenna!). A lovely scarf given to me by two very sweet girls in Guelmim, Western Sahara. I gave away a travel mug; it was my favourite, and I was happy to have it in Toronto, London, and Portugal, but it was useless thereafter. I couldn’t keep lugging it around! Several articles of clothing (such as extra cardigans, an uncomfortable skirt, a top that showed more skin than necessary, and sadly, a pair of lulu capris that were just too bulky and hot! ); if I wasn’t wearing it, and I didn’t know I wanted it 100% at home, out it went.